Wonderfully tender with a distinctive taste. Cut from the haunch or the leg, you simply pay fry to make a quick and easy meal. 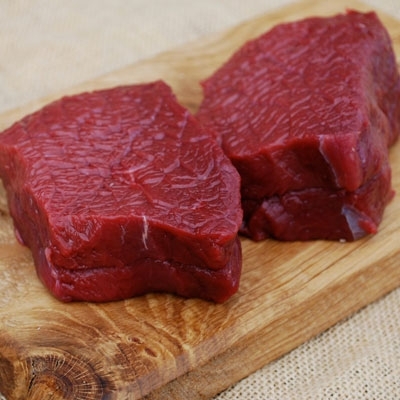 Haunch steaks are ideal for frying, grilling and barbecues. These steaks are best cooked medium rare. Sold in packs of two.